Over the years, many esports media brands have come and gone. For some of the older brands, they’ve achieved a status that cannot be imitated by new media seeking to penetrate the scene. For newer brands, they face an uphill battle to not only establish themselves in this growing space but also must find new ways to earn a sustainable business. The greatest challenge any esports media brand faces is having to prove its importance to an audience while also creating content about teams, organizations, players and games that are also creating their own content, but with more access, a larger budget and direct reach to their established fan-base. Displayed are the many products and media brands I have personally worked or launched. From a TV studio in Babelsberg, Germany to a digital magazine with the prestigious Aller Media in Copenhagen to the international press site, Cybersport.com for Russian conglomerate Mail.ru and more. For the past eight years, I have been a part of a variety of media brands ranging from being a news-writer for many esports news sites to launching an esports studio, publishing an esports digital magazine and launching live-streaming platform. With each iteration of a new media brand, I’ve come to recognize certain key points that make or break a brand and the recurring pitfalls new media sites are falling for. 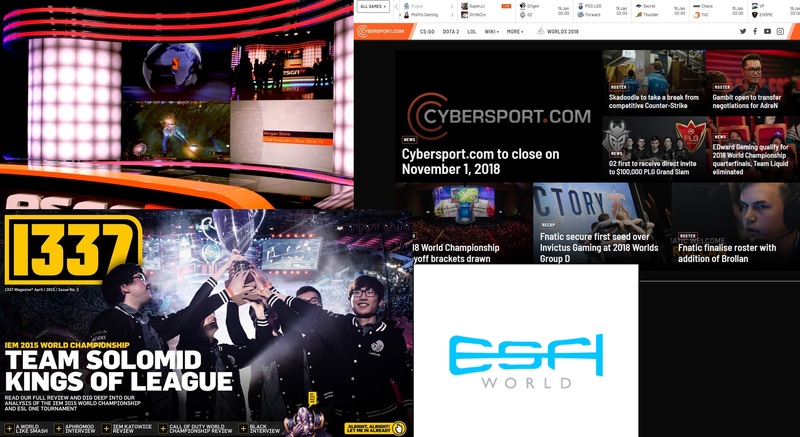 In this many-parts series, I will highlight key areas that lead my latest company, Cybersport.com and our sister site, Cybersport.ru to becoming the top-10 and top-2 most read esports news website in the world. Also, I will highlight what other, more long-time and established brands, like HLTV, Dexerto and JoinDota, are doing right. Let’s take a look at the current established competition. Despite only covering one game (Counter-Strike), HLTV remains one of the strongest and most established esports media brands in the world. Not only have they received the respect and cooperation of esports tournament organizers, teams and players but they have achieved a unique community that has yet to be imitated by any other current media website. Their trifecta of being one of the first in spaces, having incredible and top-of-the-line statistics and an established community has greatly separated themselves from the competition. Editor’s note: only a site’s internal analytics can accurately determine the monthly traffic their sites achieve. Data provided here are through third-party trackers that advertisers rely on to get a general scope of an industry’s readership and visits basis. The higher a site’s monthly visits, the less accurate the third-party data. 1. There’s a lot to unpack here as different sites have achieved different results for differing reasons. For part 1, I will not be able to go over all of it but we can highlight several trends that set one site apart from another. 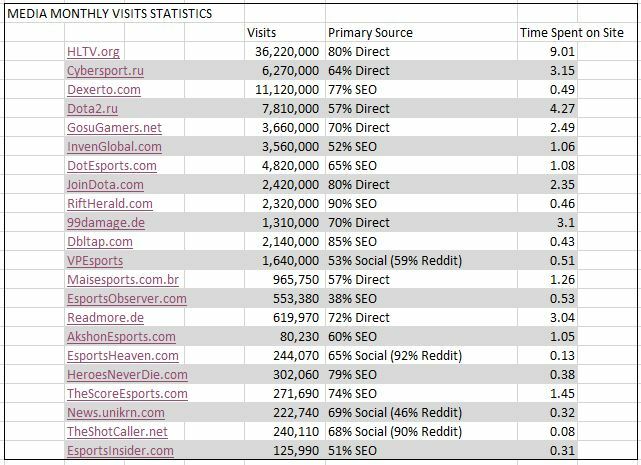 For example, how is it possible that Cybersport.ru is the second most-read website in esports media, especially for a site that is only in Russian? Are there that many esports fans in the CIS region? Yes, but also because Cybersport.ru is more than a decade old and before that, was part of the Virtus.pro brand name. Many esports medias that are at the top are there now because they’ve lasted the test of time and the esports waves of growth and reduction. HLTV, GosuGamers, Cybersport.ru are brands that have been around from the many ‘starts’ of esports. For the many that have survived the test of time, there are dozens that have failed. You can usually tell the age of a brand by the primary source of their userbase: direct visits. Being among the first sites that have penetrated the market also earns you a community since back then, there was more reliance on forums and communities to get your content as opposed to the now-curated feeds of social media and Reddit.com. TeamLiquid.net is an example of a community site that still generates 3.8+ million visits a month due to its age and organically grown community forums (and site features). 2. Another key trend to consider is the amount of non-English websites that generate a large user-base. Dota2.ru, Cybersport.ru, 99Damage.de, Readmore.de, Maisesports.com.br, these sites are published in languages besides English, indicating a real community that is looking to get their esports content elsewhere than on english sites. Esports readership is a mirror of esports viewership for tournaments, social media and more. That esports sub-culture and consumerism also mirrors a lot of market trends and focus to the mainstream gaming industry. Brazil, Germany, Russia are all very important markets for sales from game developers and publishers and thus this importance trickles down to esports as well. It goes without saying that these countries and regions also do not understand English very well, thus why audiences flock to non-English news and community hubs. That said, nothing beats the North American and English-speaking market and there are many esports media brands that have succeeded in reaching these audiences. Similarly to older brands that have penetrated the market, these non-english speaking sites are also doubled as a ‘community website’ where users can discuss, comment and blog about everything related to esports and the articles that are published. There is no Reddit comparison for non-English audiences and thus they rely on esports news sites for their community discussion boards. 3. We’ve seen that older brands survive and have retained a readership that goes directly to their website. What about newer sites? The power of SEO is the greatest savior for top brands like Dexerto.com, DotEsports.com and RiftHerald.com. That last one, RiftHerald.com is a part of Polygon.com, a major mainstream gaming coverage news site that heavily relies on SEO to reach a large audience (40+ Million monthly visits). SEO is something the gaming industry heavily pushes towards, and it is becoming something esports is also imitating. Older sites have a community base that returns directly to their website for many years but for newer sites during the age of social media and Reddit.com, building a community can be a slow and sometimes waste of time. SEO helps reach audiences that you normally could not reach and the amount of work needed is significantly smaller than creating incentives for users to stay and chat on your website. 4. From 9 minutes to only 8 seconds, there is a huge fluctuation of how much time users spend on a website and there are a variety of factors that affect this. HLTV.org not only has a strong community base, but produces great content to justify returning to their website. In addition, their statistics is top-notch and a staple to the scene. For sites like EsportsHeaven, TheShotCaller, their time visited is less than a minute – ultimately revealing that not only are users not visiting their site, they are often viewing one article then leaving the site. This is why you can see their primary source of visits are from social media (where users only view and click on articles they find interests before returning to their social platform) or Reddit.com. If your site has a high visit rate but very low time-spent on the website, there is something concerning about your brand and advertisers will seek to find out what is wrong. Users who visit a site directly are more likely to spend time on the site as opposed to SEO or worse, social media. 5. There is so much more to unfold in this list. Like, how does GosuGamers.net still manage to receive over 3.5 million visits a month even though they have no content in weeks? Which is better: sites that cover all games or sites that cover a specific game only? In future iterations of this series, I will continue to reveal more interesting tidbits about this list and the great media brands that continue to thrive in this esports scene. The first thing advertisers do when they look to purchase ad-space on websites is to see what their monthly visits are. Second, they check what the sources for these monthly visits. If they see that the majority of your monthly visits come from Reddit or is not consistently established, they will avoid your website. If advertisers see that it comes from countries that are not strong advertising markets, they will avoid your site. This is common-sense for many people but for writers and editors, they misinterpret the interest of Reddit.com as being a dictation of what lives and dies in this esports industry. Like any audience, the content that users from Reddit enjoy is different than the content users enjoy outside of that community forum. For example, content that is unique (leaks, interviews, opinions) may garner a lot of interest from users on Reddit but general news will not as they may have already been informed of this information elsewhere OR it’s not as interesting as other, more unique content. However, the majority of organic visits for most established websites are from general news pieces. You can easily determine how much content is being submitted for a news site by using the parameters: reddit.com/domain/THESITENAME.COM — some sites receive a lot of submissions from power users (users who are frequently active on a particular sub-reddit), some are submitted by writers. Regardless, your site’s majority readership should not come from Reddit as it will lead to an over-reliance on a very fragile userbase that can fluctuate. The over-emphasis on Reddit is a common pitfall many new writers and editors fall for. Just referring back to the statistics before, we can plainly see that nearly all major popular sites do not rely on Reddit as part of their core readership. The main reason is similar to the logic behind social media sharing: users will continue to visit these social platforms for their news rather than directly visiting your website. It is common practice to use Reddit.com to introduce your newly-created media brand and the unique content you have to provide (interviews, opinions, breaking exclusive news) but all sites should seek to garner their own organic userbase for their general news. 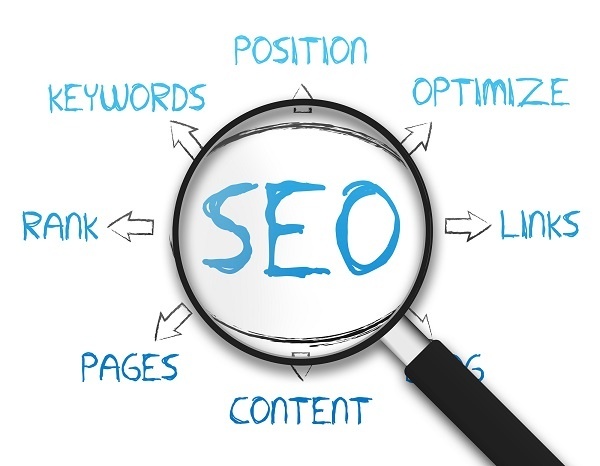 As mentioned previously, SEO is one of the new ways that new brands are breaking this space. Younger sites like Dexerto.com, DotEsports.com and InvenGlobal.com are all relying on SEO to establish an audience and recurring readership. This is especially important since they can no longer garner a traditional community like the older sites have done. Your general news is the bread and butter for your site. It is the most consistent type of content you can create that will generate the majority of your organic readership. Showcase the sundae cherries interviews to your social media outlets like Twitter, Facebook and Reddit but don’t forget the ice-cream news for users who are looking to get all their esports content in one place. In esports, you will have very active months with a lot of content to write about and other periods where content will be slow and the availability of unique content can be limited (e.g: Christmas season, down-ramp from a major tournament season). During those slower times, you will not have much to provide to Reddit but your investors and supporters will expect a consistency in visit growth and content production. This is a common scenario where the focus on growing your organic user-base (through general news production) should be emphasized more than hitting record-numbers through artificial means such as submitting unique content on Reddit.com. Sites like DotEsports, Dexerto.com and JoinDota all create unique content but they do not prioritize it over general news. The way you also write about your news heavily affects its interest to its readers and in future iterations of this series, we will highlight the different ways to write your news to garner the most interest from your organic user-base. In Part II, we will examine different media sites, common features your site should include, the high cost but importance of writers and brand identity as well as highlighting efficiency in content versus readership.